From 1 December 2017 and onward Indian mobile phone users can link their number from aadhar number at home. It’s to notice that Government of India has mandatory to link mobile number with aadhar number. Mobile operator companies are starting three new facilities which benefits you can get from home. Unique Identification Authority of India (UIDAI) has given this information in their official website; according to UIDAI mobile operators will enable those facilities to their respective customers. Let come to the point how you can link your mobile with AADHAR ID. It’s very simple to get mobile SIM and number from any dummy proof in India. Sometimes those numbers can be used for illegal activities. AADHAR is the only unique identity of a person with thumb impression and eye retina scanning. All dummy number will be deactivated after 6 February 2018 and onward it will be mandatory to verify mobile with AADHAR number to prevent threats. Visit official website of your mobile operator companies, you can find a special tab or button in website to link your mobile number with AADHAR. Here below are some of official website url. Here you need to enter mobile number and aadhar details to receive one time password. You will get OTP on your registered mobile number, insert that OTP in website when ask to verify your aadhar number. Mobile operators can provide the similar facility in mobile app too. Apps can bring new menu for aadhar linking. You have to update your mobile app to enable to this option in your mobile app. Here you need to enter your complete details and you will get one time password (OTP) on your registered mobile number. Insert that OTP in app when ask and your mobile number will be verified. Companies can provide a new IVR number specially made for AADHAR number verification or they can utilize their current customer care number. In current customer care number they can provide an option to verify mobile number. You need to call on IVR number, it will ask for Mobile number and AADHAR details to get OTP. Once you will enter that OTP your mobile number will be verified with AADHAR number. Who can’t perform AADHAR VERIFICATION? 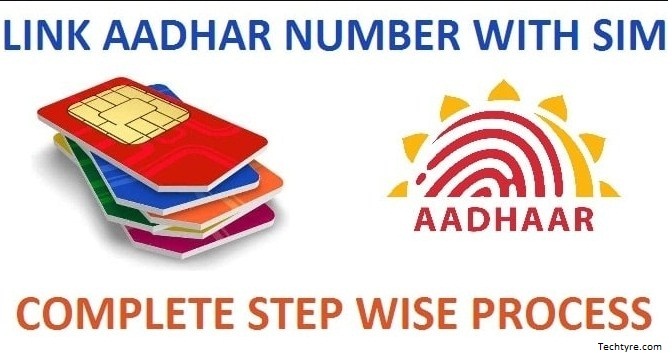 Remember you can’t verify your number if haven’t linked any one mobile number with your AADHAR because you will get OTP on that number only.